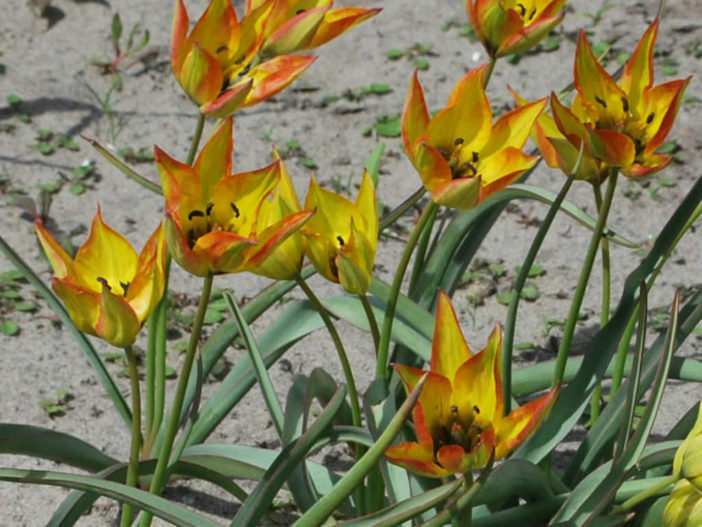 Tulipa orphanidea ‘Flava’ is a bulbous perennial up to 8 inches (20 cm) tall. The stem is glabrous or hairy, and the leaves (which vary from 2 to 7) are up to 8 inches (20 cm) long, up to 0.8 inch (2 cm) wide), green, often with a tinge of red along their edges. 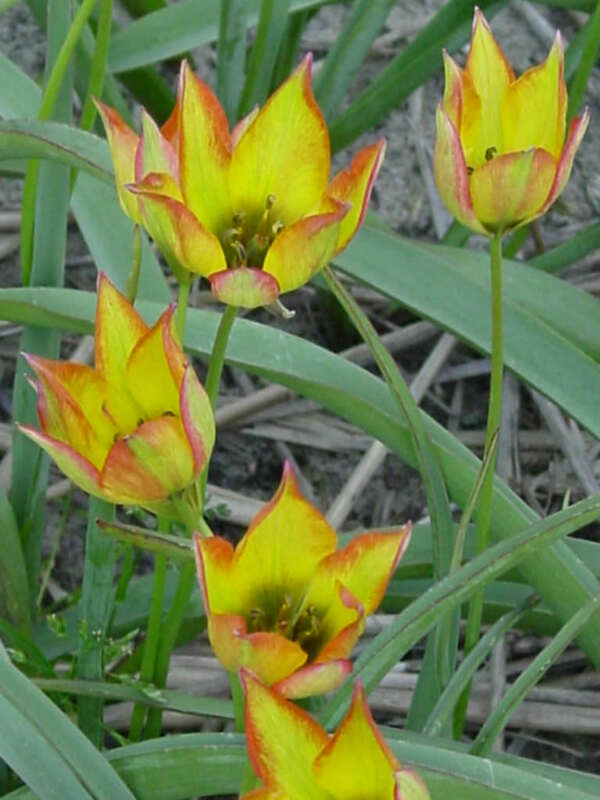 It is multi-flowering species and has green-yellow flowers with red pointed tips. The outer petals also show a hint of orange, and the linear leaves are gray-green. 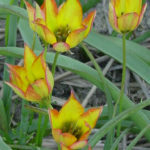 Tulips need a chilling period and are planted in the fall. Planting depth should be about 3 times the bulb’s diameter; small bulbs will be about 5 to 6 inches (12.5 to 15 cm)deep, larger bulbs 8 to 10 inches (20 to 25 cm). Add a handful of bulb food or bone meal at planting time and water well. Keep watering weekly, if it doesn’t rain, until the ground freezes. Feed again, when the leaves emerge in the spring. 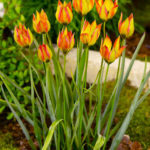 The foliage needs to be allowed to continue growing, after the petals drop, to feed the bulb. 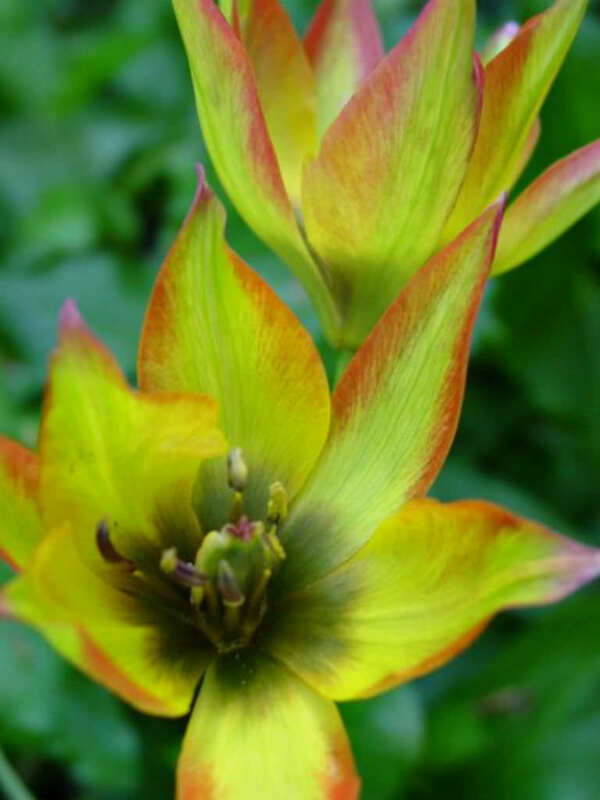 However, the flower stalks can be removed to prevent them from setting seed and stealing energy from the bulb. Once the leaves die back, they will pull easily from the soil. The bulbs prefer to be on the dry side, during summer dormancy. Feed each spring, when the leaves first appear. If you have trouble getting your tulips to come back each year, it could be because the winter is not cold enough, the summer is too wet or something has eaten the bulbs. 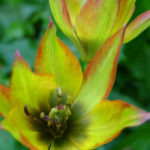 Whatever the reason, you may prefer to grow your tulips as annuals, replanting each fall. 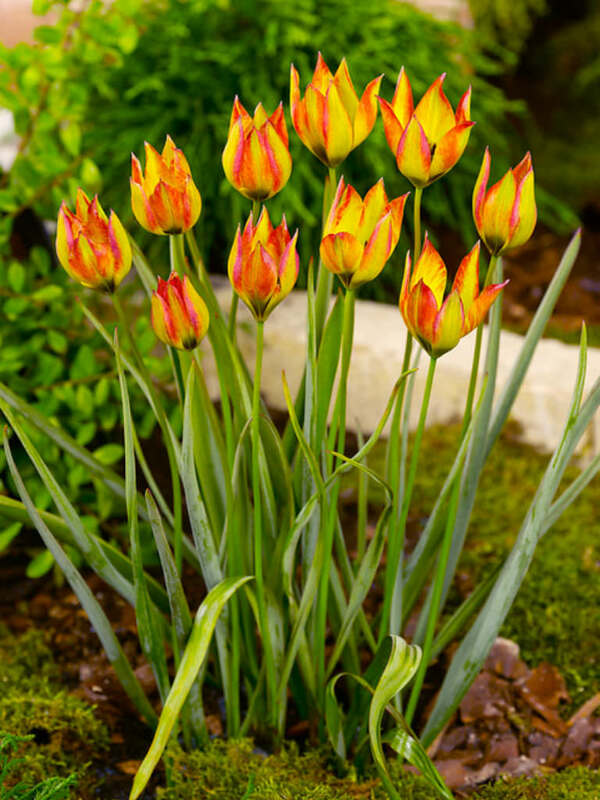 It’s a bit more work, but you won’t need holes as deep as perennialized planting… – See more at: How to Grow and Care for Tulips.